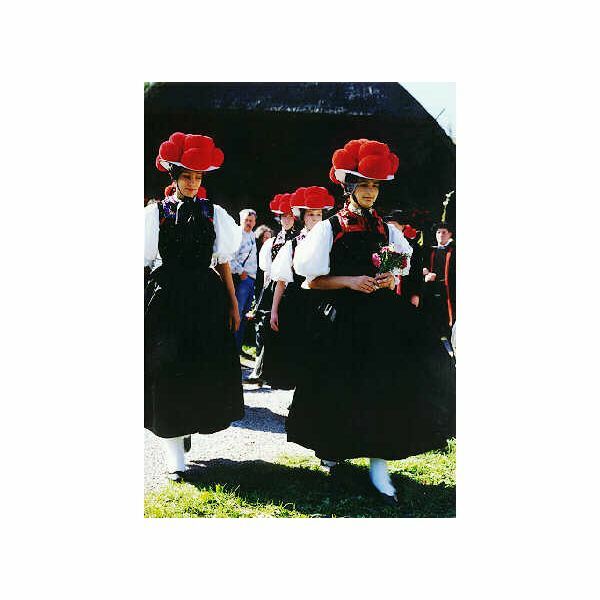 Traditional German costumes, TRACHTEN in German, vary widely according to region. Lederhosen and Dirndl are known the world over as synonym for German traditional style, but there are several more colorful items worth learning about. A certain revival of tradition has led to what’s called Landhaus Stil or countryhouse style, becoming very much the fashion in modern Germany. Originally the Dirndl, which is the female form of the traditional German costume, was the dress worn by maids and servants; the word dirn in local Bavarian and Austrian dialects meaning ‘maid’. That changed in the 19th century, when the middle classes as well as aristocrats, painters and writers re-discovered nature and roots. They started wearing the servants’ outfits during their vacation and adapted them for comfort, luxury and practicality. The Dirndl consists of a tight waistcoat or Mieder, under which a wide-sleeved blouse with a more or less plunging neckline is worn. The top is combined with a long, full skirt over which an apron is tied. Originally the material was linen, wool in winter. But when re-discovered by the upper classes, Dirndls were fashioned from silk and the apron, waistcoat and even blouse were heavily embroidered. Today, the Dirndl is an accepted and much appreciated fashion item worn even to formal parties, dinners and balls. During Oktoberfest season, even Lufthansa, the German airline, kitted their flight attendants out with Dirndls to get their passengers on certain routes into the right spirit. Lederhosen, leather pants, are wide cut trousers which end in a Bund just below the knee. The material allowed for heavy duty work in stables, fields and woods and was accompanied by a heavy wool jacket often fastened with silver buttons or chains. The shorter variety in the form of trunks is a later development. 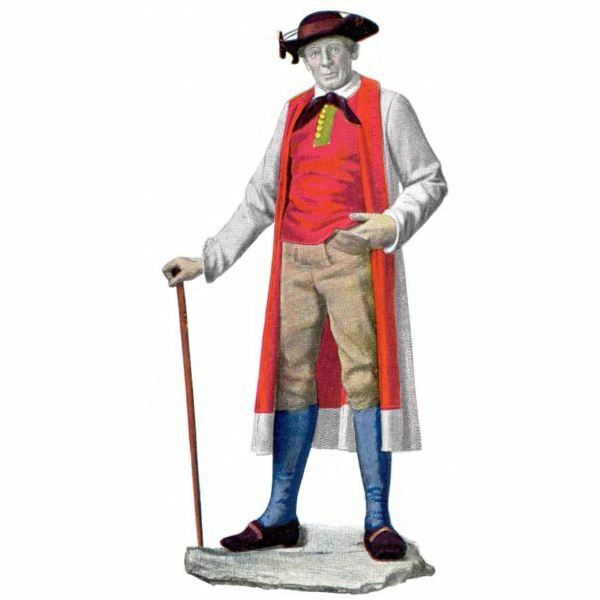 The outfit is today very much included in Bavarian gentlemen’s day wear wardrobe, although it’s frowned upon if foreigners or people from other German regions wear them. Unlike the Dirndl, Lederhosen have not made their way into evening wear. The German Black Forest (Schwarzwald ) region features another item which is quite well known in other countries as a synonym for German romanticism. 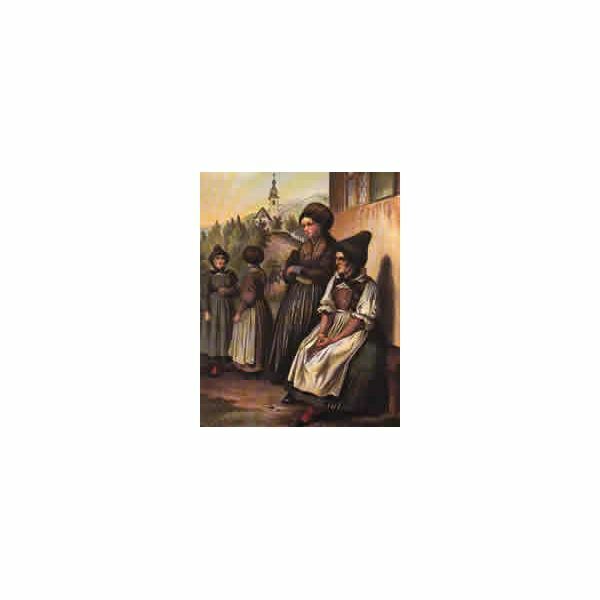 The dresses, which are widely worn today for religious festivals as well as occasions such as weddings and Umzüge (processions through town), resemble the Dirndl, but what makes the costume special are the wide hats worn by the ladies. One is the Bollenhut (hat with wool balls). It consists of a wide-brimmed white straw hat covered in big wool balls which are arranged in the form of a cross. The color of the balls is red for unmarried women and black for married ones. Another variety sports roses instead of wool balls and is known as Rosenhut. Unlike Southern Germany, traditional Braunschweig and Hamburg costumes have not undergone a modern fashion revival. They are, however, proudly worn at ceremonies and processions and very elaborate. The women’s outfit consists of a blouse, waistcoat, skirt and apron, all of which are richly embroidered. The skirt is much less ample than the Dirndl’s. The men’s costume is defined by a long, white overcoat with a red lining, the Kittel. In the German language the word today describes either a smock, usually worn for housework, or the doctor’s white lab coat. 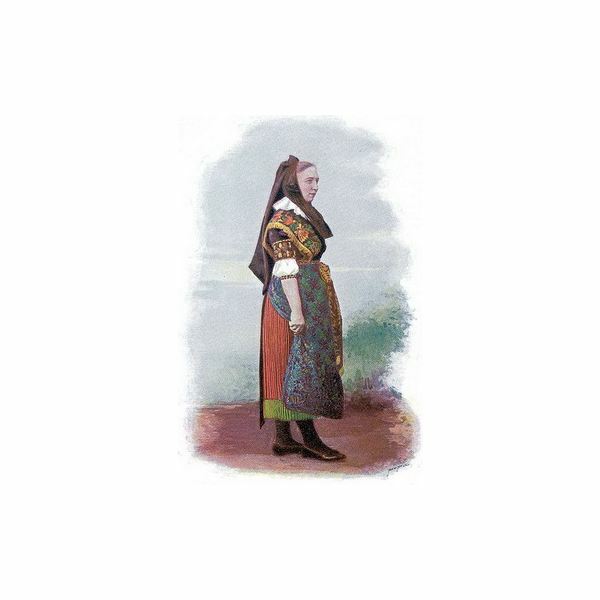 The traditional Kittel reached mid calf and was accompanied by knee pants, called Büxen, blue stockings and black shoes. Büxen is a traditional German word for pants in general, used originally in the Northern German dialect, but has found its way into general German language. 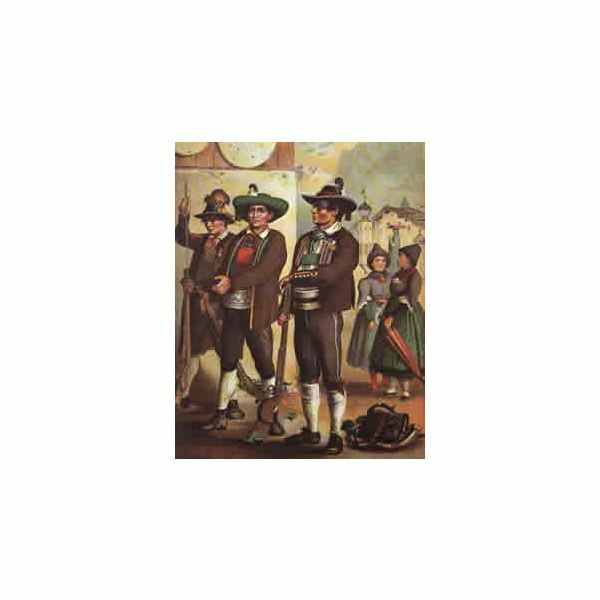 It’s very popular in Germany to uphold traditions, which are called Brauchtum and there are various Trachtenvereine, meaning Traditional Costume Clubs, which meet on a regular basis and often display very valuable old costumes in a variety of performances and exhibitions.